In large bowl, beat butter, sugar and ground almonds with electric mixer on medium speed until smooth. In another bowl, stir together flour and salt. With electric mixer on low speed, add flour mixture to butter mixture. Shape dough into tablespoon-size balls. Place on ungreased cookie sheets. Bake 10 to 15 minutes or until the bottoms have browned (the tops of the cookies will remain a light color.) Remove to cooling rack. Cool completely, about 30 minutes. 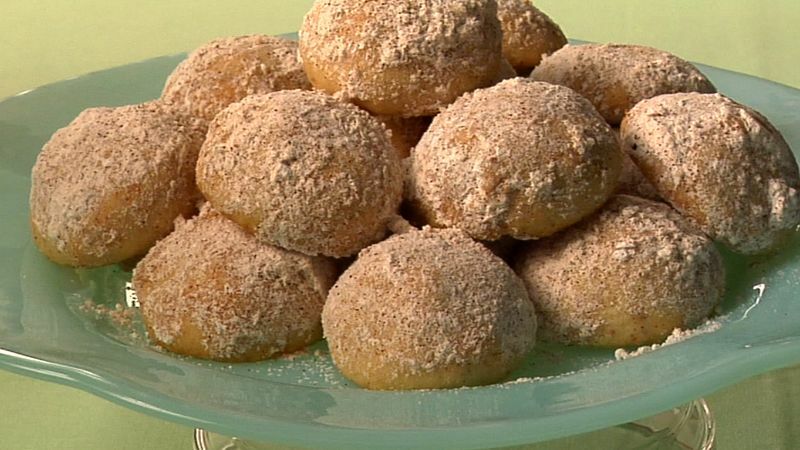 Mix cinnamon, nutmeg and powdered sugar. Dip tops of cookies into mixture.